FUEL EFFICIENT 30 MPG Hwy/22 MPG City! 128 Point McGee Certification Inspection. LX trim, Alabaster Silver Metallic exterior and Gray interior. Bluetooth, CD Player, iPod/MP3 Input, 4x4, Back-Up Camera, Clean Autocheck report! CLICK NOW! 4x4, Back-Up Camera, iPod/MP3 Input, Bluetooth, CD Player MP3 Player, Keyless Entry, Child Safety Locks, Steering Wheel Controls, Electronic Stability Control. 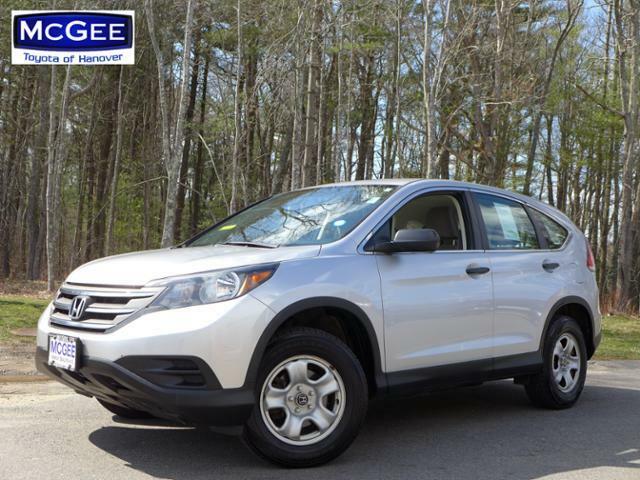 Honda LX with Alabaster Silver Metallic exterior and Gray interior features a 4 Cylinder Engine with 185 HP at 7000 RPM*. Clean Autocheck report! Edmunds.com explains Winner of 2012 Edmunds.com Best Retained Value Award (SUV $25,000-$35,000 category).. Great Gas Mileage: 30 MPG Hwy.